Know what a Massachusetts living trust can do for you. A trust is an arrangement under which one individual, called a trustee, holds legal title to property for another individual, called a beneficiary. You can be the trustee of your own living trust and keep full control over all property held in trust. The "living trust" (also called an "inter vivos" trust by lawyers who just can't give up Latin) is simply a trust you create while you're alive, rather than one that is created upon your death, under the terms of your will. Do I need a living trust in Massachusetts? Massachusetts uses the Uniform Probate Code, a set of laws that simplifies the probate process, so making a living trust may be more trouble than it saves. Yes, you always need a will. 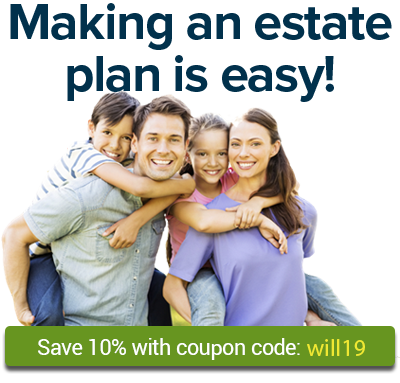 A will provides a backup plan for any property that doesn't make it into your trust. For example, if you acquire new property and neglect or forget to add it to your trust before you die, that property will not pass under the terms of the trust document. In your will, you can to name someone to inherit property that you haven't left to a particular person or entity in your trust. In the absence of a will, any property that isn't transferred by your living trust or other method (such as joint tenancy) will go to your closest relatives as determined by Massachusetts law. Can writing a living trust reduce estate tax in Massachusetts? This depends on the kind of trust you create. A simple probate-avoidance living trust has no effect on federal or Massachusetts estate tax. A more complicated living trust, such as an AB trust, however, can reduce the federal estate tax bill for people who own a lot of valuable assets. Most people don't need to worry about federal estate tax because it affects only estates worth more than $5.45 million (that's the 2016 figure; it's indexed for inflation). You're more likely to be affected by the Massachusetts estate tax, which kicks in for taxable estates larger than $1 million. For more information on when you still might want to use an AB trust to reduce estate taxes, see Nolo's article Tax-Saving AB Trusts. How do I make a living trust in Massachusetts? Create the trust document, which says who will inherit trust property and names you as trustee -- the person in charge. You can create your own living trust with Nolo's Online Living Trust. The simple interview asks some questions about you and your property, and based on your responses, the trust document is customized for you and your situation, taking into account the laws of your state. Nolo's Online Living Trust is easy to use and thorough, and you can make changes for a full year following purchase. For more information, see the Online Living Trust FAQ.